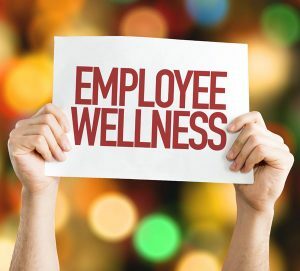 We are dedicated to creating healthy workplace and healthy communities. It is our mission to provide our customer with excellent health care and outstanding customer service. 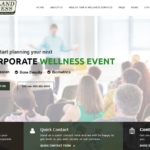 Homeland Wellness LLC is proud to announce the launch of our new website. We have updated our website to provide more detail content and updated information on the services we now provide. Our website now boasts a cleaner, more modern, design that allows more intuitive navigation. 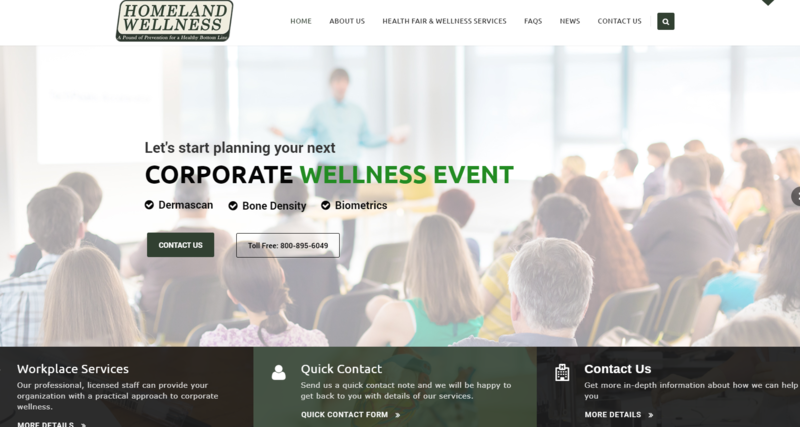 While we still provide the high quality services you’ve come to expect from Homeland Wellness LLC in the areas of Health Screenings, Biometric Screenings, Wellness Seminars & Food Demonstrations, Health Care Education Displays, and Chair Massages. We feel the the new website conveys that message in a cleaner, more concise, and easier to read way. We are proud to list our new Sleep Apnea screening. Please do take some time to explore how we can help you plan your next Corporate Wellness Event. While we have been providing this service since 2010, it was not adequately represented on our website before. We would appreciate a call from you to find out more about how this service helps you and your company. We hope you enjoy the new website as much as we enjoyed creating it. Please check back often as we will constantly refine the content and services details as well as post informative and interesting articles that are important to you. As always, should you have a question, or simply wish to learn more about how we can help you, please Contact Us. We are dedicated to creating healthy workplaces and healthy communities. Copyright © 2019 Homeland Wellness. All rights reserved.